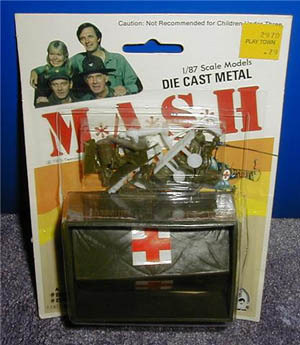 If only you could still get this...perfect for M*A*S*H fans or just Korean War enthusiasts. Play at being Hawkeye and the gang in the series that actually lasted longer than the Korean War itself. Glorious People's Liberation Army troops from North Korea and China also available. My dad spent his 21st birthday aboard a big fat steamin ship en route to Korea. When he got there, he was encouraged to fire his big fat steamin artillery gun thing at North Koreans. Some of his pals died out there but he never talks about it. Didnae stop my dad being a leftie and a good guy to boot. Didnae stop Korea being fucked right up. 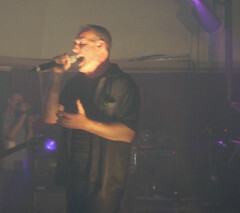 When i was 21 i was mainly takin speed and pils lager and going to gigs at the Barrowland etcetra. It sure is a funny old world. Mash on tv was great. The film is even better.